How to find someones IP address on Instagram – An Advanced Guide! Have you wondered how to get someones IP address? Do you want to know from which country an email was sent to you? or want to find out which country your friend on Facebook or Instagram lives? brace yourself as this article will apprise you on finding and tracking IP of any internet user. As you are probably aware of, the IP address is a numerical and consists of 4 numbers, each separated by a period. For example, 69.453.342.23. Using the IP grabber techniques given here, you can find out the IP address of any internet user or website easily. So let’s get started with finding Instagram users IP Address. How to Find Someones IP Address using IP grabbing tool? Just recently I wrote an article on finding and tracing fake Facebook user and it worked quite well for most of my readers. Now in this tutorial, you will learn how to use the same technique to find IP address of Instagram user. All you have to do is, follow the Instagram user whose IP you need to find out and DM him/her a specially crafted URL. So how to craft this special URL and what it is exactly? The special URL we are talking about is just a normal website link. however, when you click on it, It grabs or records your IP address and logs it to the website’s server before serving you the content of the website. Now the user-crafted this special URL can later log into his account to check the recorded IP address. There are several IP grabbing tools that allow you to find someone’s IP address as well as trace its location. In this tutorial we are going to use Grabify Tool. 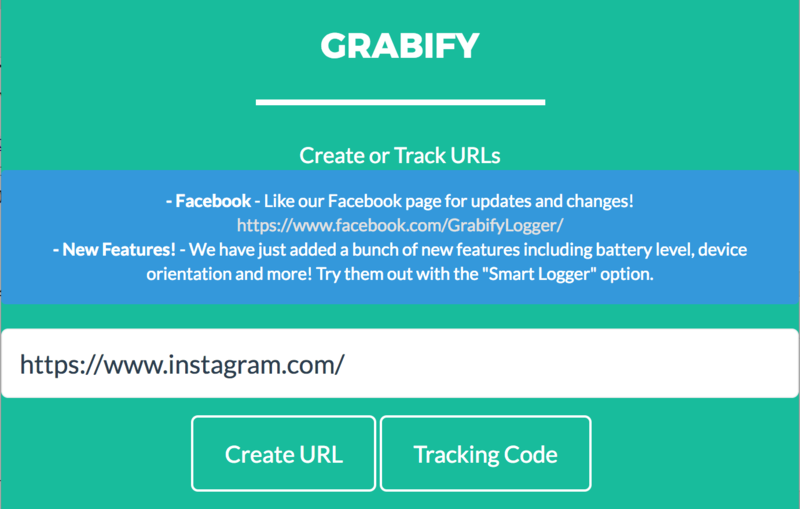 Head over to https://grabify.link and enter any valid URL in the text field and click “Create URL” to craft tracking URL and Code. In this example, I have entered Instagram Homepage URL (When the User clicks your tracking URL, He will be redirected to this website, in my case its instagram.com). Once your tracking link is created you will be presented with all the Link Information (tracking data) as shown below. New URL: This is your specially crafted URL that you need to send to your target user. Tracking Code: Note down this code as you will need this code in future to access your tracking data unless you dont mind keeping the current tab ON. Other Links: In this field you can create or craft more desirable short link for your “New URL”. If you are planning to send “New URL” to your target user then wait, Wouldn’t he/she know that its an IP grabber link by looking at the Grabify URL? of course yes. So to avoid this confusion, we will make use of “Other Links” to create more desirable short URL. Click on “View other link shorteners” and then generate short URL using any of the services (goo.gl is recommended). 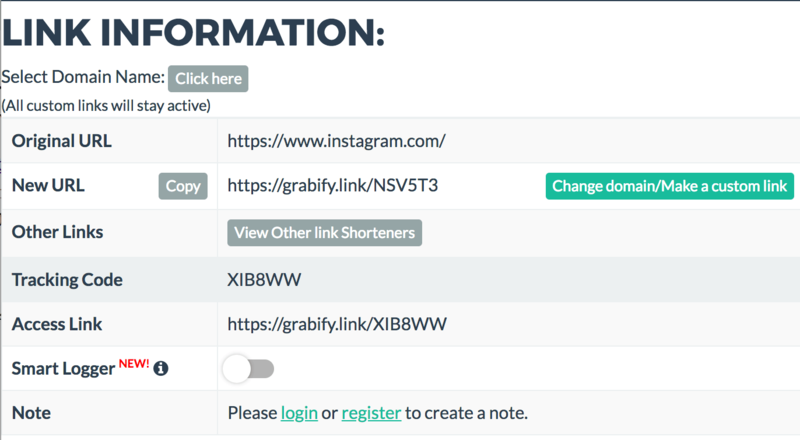 Copy the newly created short URL (This is your special link) and send it to your target Instagram user via DM. Once your target user clicks on the link, his IP address is recorded on Grabify’s server. To check for the recorded IP, Goto Grabify website and enter your “Tracking code” to view your Link Information page (tracking data). Hope this helps you to find out IP of target Instagram account. Once you have IP, you can use Geo-locations service to find the exact location of the Instagram user, Please scroll down for more information on this topic. If you’re using Windows, click on “Start”, go to “All Programs” and then on “Accessories.” You will get a Command prompt where you can ping the URL of the website, whose IP address you want to find. Doing so will send a signal to the URL you are interested in, which then bounces back along with the website information attached. You can also find out how long it takes for the round trip. Just type “ping URL” – where URL = www.instagram.com or www.facebook.com. Now, click “enter”. You will get IP address appearing alongside the website name, along with the time in milliseconds it takes for the entire operation or to ping a website. How to Get Someones IP Address from the Email? To find IP address of an email sent to you by instagram, first, open your email client. Look at the message’s headers. If you are using a Mac, click View > Message > All Headers. If you are using a PC, click Options. There, click on the dialogue box launcher > Message Options dialogue box (Properties) > Internet Headers. Here, just next to the Received section, look out for something such as “from…” followed by the IP address. Select the IP address, say, 69.342.453.563 and copy to the clipboard. If the message says Received from mx-out.instagram.com, we have to check if this is really true. If you are using Windows, repeat the method we used earlier to get the Command Prompt. The only difference is, rather than pinging the address, we are going to use the whois check. Just type whois 69.342.453.563 on the command prompt and click Enter. What happens is that the information will be transported to the database, a database query will be performed and it will come back to you with the registration information for the IP address. So what this allows you to find out is if the message was actually sent from Twitter or not. In fact, you will get the complete address of the domain registrar as well. So, that’s how to find IP address of someone using the information from his email. 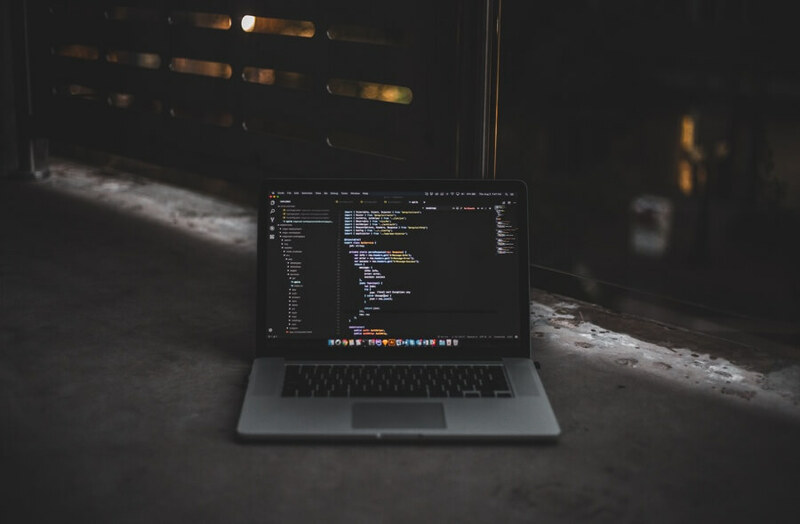 If you don’t want to use your own computer to find out the whois information or do not have the permission to do so, what you can do is to use an online service such as www.ip-lookup.net to find the whois information. This serves the same purpose as an IP tracer and gets you the whois information of the person. Alright! you have successfully found out the IP of Instagram user, now what? I do I get more information about the user like his exact location, where he lives, what ISP he is using, etc? With the help of his IP address, you can do so very easily. Just Google “IP Geolocation”. You will find a large number of sites that offer to find the geo-location of the person using their IP address. These websites will tell you which ISP or internet service provider the person is using, or whether he or she is using an ISP belonging to a company. You can also find out the approximate (but not exact) the physical location of the person. These services are limited as you cannot find out the name of the person who is using the IP address, as ISPs are very wary of revealing such information. Only government agencies can ask them for this information. Or, you can use a court order to force them to part with the information if it is for an important enough reason.